A place to share SuperWebHost news and helpful tips and tricks that we use within our office. In my last piece, I talked about email marketing using MailChimp. In this blog I want to go a bit deeper into ethical practices of sending email. First and foremost, you should only send email to people who have willingly given you their email address. People that sign up for your newsletter, customers, or people that contact you for information all might reasonably expect to receive an email from you. However, if you’re sending to addresses from a list you’ve “purchased” or from email addresses you’ve harvested from somewhere, sending an email to them could violate the CAN-SPAM act and get you into trouble. At the very least, it may get your account suspended with your email marketing provider or your web host. 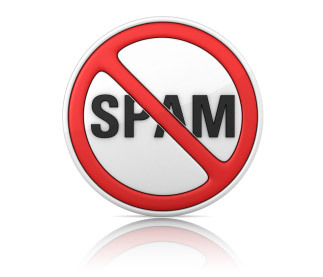 The CAN-SPAM Act of 2003 was signed into law by President George W. Bush and established the United States’ first national standards for the sending of commercial email and gives authority to the Federal Trade Commission to enforce it. Now personally, it seems crazy that since I receive so much spam, you can actually get in trouble for sending it – but you can. Generally the persecution comes not from the individuals, but from the Internet Service Providers who may be affected by large volumes of spam. On April 29, 2004 the US government brought the first criminal and civil charges against a company and the associated individuals for advertising a diet patch and hormone products via hundreds of thousands of spam emails. They faced up to 5 years in prison under the CAN-SPAM law and 20 years in prison under the US Mail Fraud statutes. So I would recommend only sending emails to people who have signed up to your lists, or that are existing customers, or prospective customers who have expressly communicated with you. This entry was posted in Customer Service, Development Tips, Hosting Account Tips, Small Business on August 3, 2016 by Josh Pettit.